At Northumbria University’s Department of Media and Communication Design, Gabriel is involved in the delivery of under- and post-graduate modules such as Writing for Publication, Classic Journalists, Digital Journalism, History of Journalism and Research Methods. 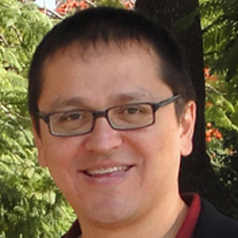 Dr Moreno was awarded in September 2009 a PhD by UK-based Communication and Media Research Institute (CAMRI) within the University of Westminster, as result of his investigation about the role of television news in the experiences of immigrant families. In January 2010 he moved to Mexico under the auspices of Mexico’s National Council of Science and Technology, as full-time member of the research and teaching staff at Universidad de Guadalajara’s Department of Social Communication Studies (DESC). He then joined Jesuit University of Guadalajara’s (ITESO) Department of Sociocultural Studies (DESO) as lecturer and researcher. Gabriel’s teaching experience in the UK dates back to his role as visiting lecturer from January 2006 to November 2009 at the University of Westminster’s School of Media, Arts and Design in Harrow Campus. He has a professional background in journalism, which he practiced for 12 years at various news outlets, including Guadalajara’s quality newspapers Siglo 21 and Publico, and as financial and general news correspondent for Reuters’ news bureau in Mexico City. At Northumbria University’s Department of Media and Communication Design, Gabriel is involved in the delivery of under- and post-graduate modules such as Writing for Publication, Classic Journalists, Digital Journalism, History of Journalism and Research Methods.